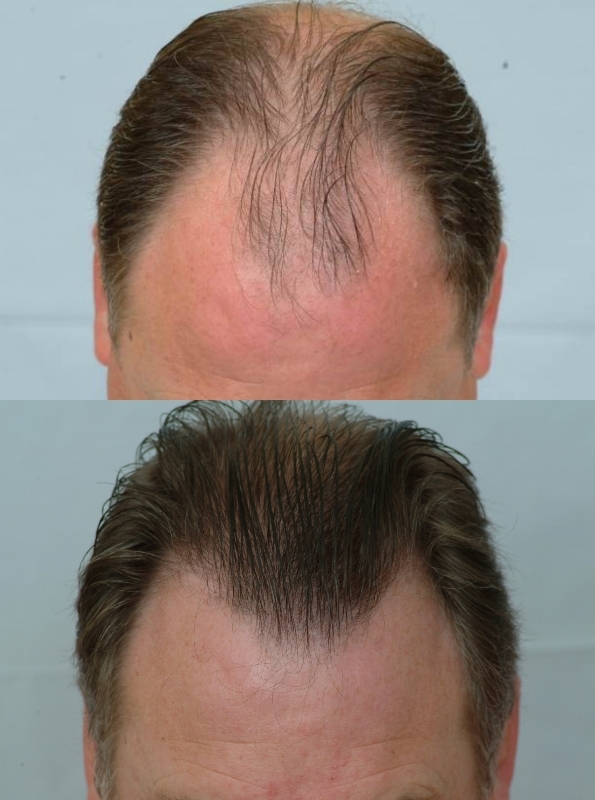 This class 3 patient came to our clinic with a simple goal in mind to restore the natural density on the frontal hair line that once existed. This patient has well above average donor density and a medium caliber of hair. At just 9 months post-op, this patient has regained confidence to go out in public with the “slick” look. The soft and natural appearance of the redefined front line is most satisfying for this patient. Happy holidays to this kind patient and to all, a happy new year! 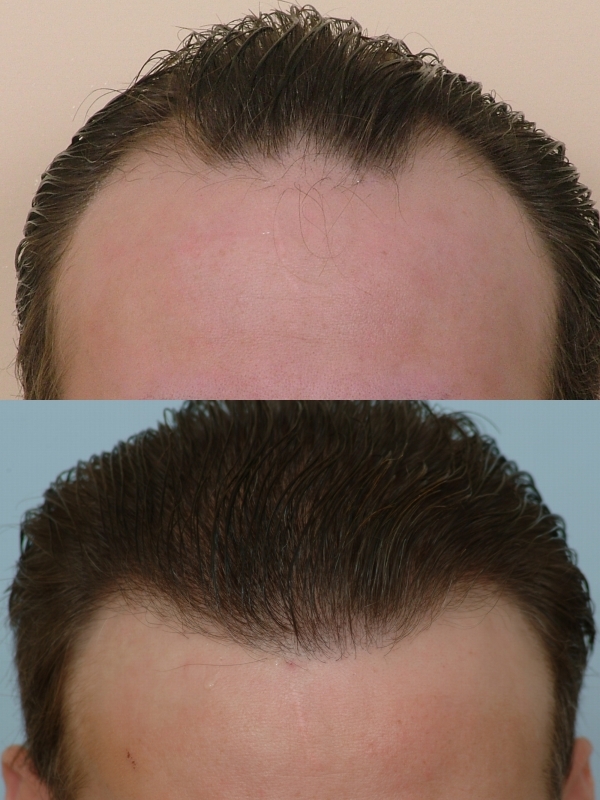 » restore the natural density on the frontal hair line that once existed. » holidays to this kind patient and to all, a happy new year! I concur:yes: I like the way your clinic manages the donor area and gets excellent yields with so little. IMO, this will benefit a large population of hair loss sufferers like myself. 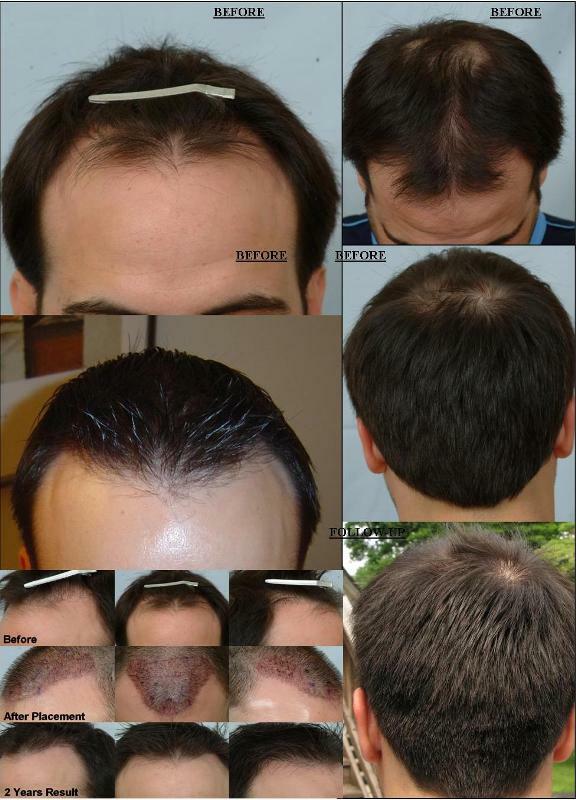 I can picture Armani calling for another 1000 grafts to produce this set of before/after pics. Very soft and natural looking hairline there dr Cole. Very impressive with such little amount of grafts. Two Thumbs Up. I’m still impressed with the results using that number of grafts. Is there anyway dr Cole you can provide photos with the hair dry and/or different style? From the lowest point of that gentleman’s hairline (widows peak), how much lower (if any) was the new hair line created? 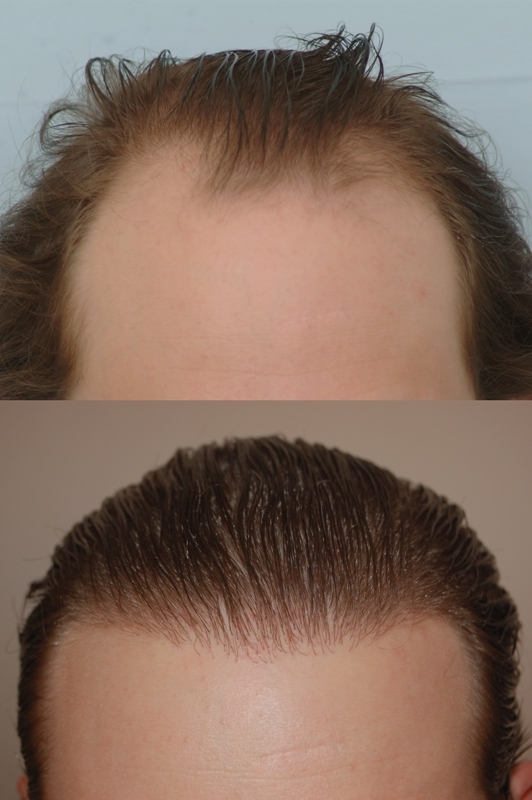 Can you provide a ballpark figure on the maximum number of grafts you feel the average donor can yield for FUE? What about donor scarring and laxity issues? How many grafts can you harvest and implant in a single procedure without running into problems? I believe what is labeled the post-op pic should be a mid-op pic. It appears grafts were place in the gap between the hairline placement as shown and the blue line beneath it. Maybe CIT can help clarify if this is the case. A nice result nonetheless, though I would prefer a little mature temple recession remained. » mature temple recession remained. Yes, the first post-op photo attached is the intermediate post-op. I have now included the post-op photo to show the final placement of the grafts. » without running into problems? The average patient will have about 7,000 grafts to harvest. Donor scarring can always be a risk but there are some factors that can increase the probability of scarring. Most cases will not have visible scarring. The traumatized skin located at the donor sites sometimes will not form pigment after the donor follicular units have been removed. It is impossible to accurately predict the occurrence of scarring. Hypo pigmentation (decrease in skin color) & Hyper pigmentation (increase in skin color) can also occur. Patients have less of a possiblity to have hyper pigmentation than hypo pigmentation. 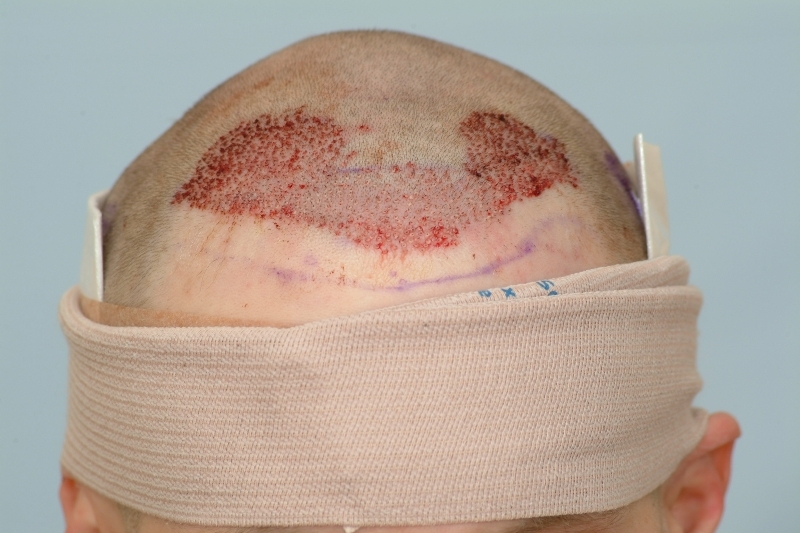 Laxity of a patient’s scalp does not play a part in our method of harvesting. We prefer to transplant 3500 to 4000 grafts in a single session. » » without running into problems? » the probability of scarring. Most cases will not have visible scarring. » 3500 to 4000 grafts in a single session. Do you have any NW 4+ cases addressed by Dr. Cole via CIT? 3500 - 4000 grafts in a single day or over multiple days? How many of these sessions already performed by Dr. Cole (3500+ in a single session)? Thanks for posting and happy holidays to you as well. 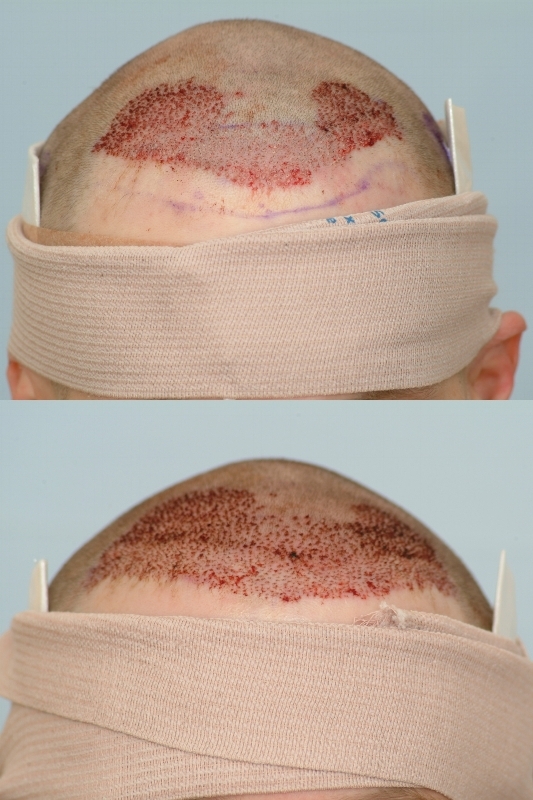 » now included the post-op photo to show the final placement of the grafts. Is there any particular reason the grafts are placed in zone 2 first and then in zone 1? Is there any benefit of doing this? Does all the extractions done first and then all the incisions followed by graft placement? » then in zone 1? Is there any benefit of doing this? Dr. Cole usually prefers to fill-in the frontal hair line at the later part of the session. After the filling work, the hair line can be created in a shingling pattern starting from the top. This protocol could benefit patients because it provides consistency in the procedure performed. Continuity is also an important consideration when patients want a particular level of artistry. 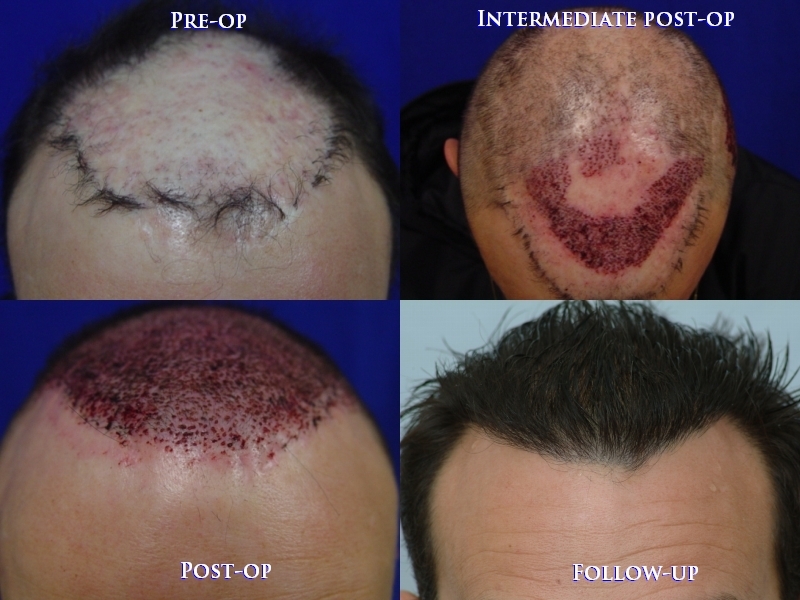 Like a well oiled machine, our staff performs state-of-the-art hair transplant procedures. Each member of our surgical staff has been onboard for at least three years. Our clinic has performed quite a few 3000+ sessions on class 4 patients. Attached are a couple examples of successfully treated cases. 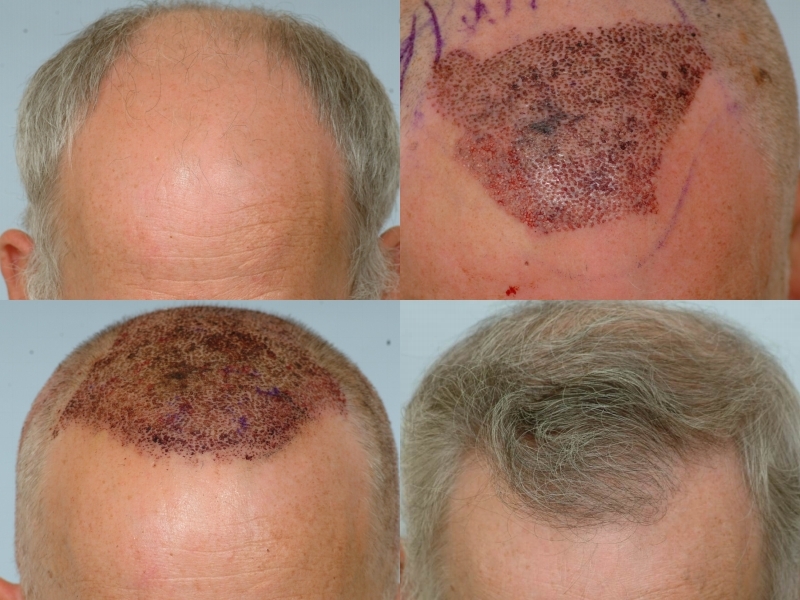 We generally prefer to transplant fewer grafts for excellent coverage.